I've been closely watching Avaya since its early iteration as a division of Lucent Technologies, and even more so over the last 12 months, starting with the sale of the networking division (which I still disagree with, but that's another story) and the rumored divestiture of the contact center business. Since those decisions, the company has gone into and come out of bankruptcy, went public with a listing on the NYSE, and acquired contact center BPO Spoken Communications, which brought it speech analytics technology, called IntelligentWire, that could pay big dividends in the future (more on this later). 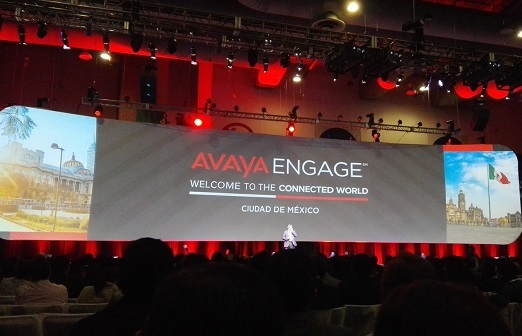 Last month, I got my company fix attending Avaya Engage for Latin American customers and partners. At the Mexico City event, I sat in on a Q&A session for analysts with Jim Chirico, CEO, and Rebecca Carr, new head of global marketing. After experiencing Engage and seeing some of the messaging, I believe the company needs to work at creating a value proposition that's more specifically Avaya-unique. Many naysayers believe Avaya's best days are behind it, but I'm not among them. I think Avaya has a tremendous opportunity ahead of it, but it needs to create some differentiated messaging. The window of opportunity won't stay open forever -- maybe 18 to 24 months -- so it needs to act with urgency. That said, I'd like to provide Chirico and Carr some advice as to where to focus. But first, here's some of what I've seen that won't work. For one, I continue to see Avaya trying to compete directly with UCaaS and CCaaS pure-plays. I can see why it wants to do this, since the cloud is hot, and as the valuation of companies like 8x8, RingCentral, and Vonage show, Wall Street is rewarding providers that are well-aligned with this trend. But Avaya needs to recognize that Wall Street's history is littered with companies whose valuations skyrocketed only to fall from those lofty perches. I'm not saying the whole cloud sector is like that, but eventually companies need to be make money and show sustainable growth and earnings. Not all the cloud vendors are going to do that. Avaya isn't a cloud pure-play, so trying to compete with those that are is the wrong strategy. It's a losing battle that forces Avaya to fight on its competitors' terms instead of its own. Secondly, I've seen a number of social media campaigns with product-related videos about the "New Avaya," mostly generating awareness about Oceana, Breeze, Equinox, and others. These essentially position Avaya as competing on a product-specific level, but being best of breed across a portfolio at all times is tough. What Avaya should be doing is changing the battleground. It can do so by defining the market in terms of what it can do that others, particularly the cloud pure-plays, can't. Its efforts should with an understanding of all of its assets and how they fit together. How many vendors can offer a combination of on-premises, private cloud, and public cloud-based UC and contact center options, as well as AI capabilities built on an open architecture with a massive installed base? Certainly not the cloud pure-plays. Cisco and Microsoft could reasonably argue that they can, but that brings the competitive landscape down to three instead of 30 or more. Instead of trying to minimize the fact that it sells on-premises infrastructure, Avaya (and all the on-premises vendors) should wear that as a badge of pride. While public cloud services have become the "new black," few organizations of any significant size are going to put all their UC and contact center eggs in the public cloud basket. Most will take a hybrid approach that leverages the benefits of public and private cloud, and Avaya can deliver both. In addition, Avaya needs to be louder about its AI capabilities. Last year it launched its A.I.Connect developer program and since then it has added its own capabilities with the addition of IntelligentWire, which does AI over voice channels. It also cut a deal with Afiniti, which has a no-risk way for businesses to try AI in the contact center. Eric Rossman, VP of partners and alliances at Avaya, has quietly built out a sophisticated ISV program that deserves far more executive airtime than it gets. I also like some of the innovation the company has shown in UC adjacencies, such as the identity-as-a-service offering it showed off at Enterprise Connect in March. In fact, the entire Avaya Innovation Lounge at that event was a good example of how bringing together the various Avaya components can create differentiated experiences. Avaya needs to be Avaya rather than chasing others. Its value proposition is in being able to unify UC and contact center solutions in any way an enterprise might want, delivered via any combination of public and private cloud, and in being able to apply AI to aggregate data and create differentiated services. The fact that Avaya owns the handsets, including cool devices like Vantage, enables the company to extend the user experience all the way to the desktop. Avaya will be successful if it is true to itself, and, conversely, it won't be it continues trying to be like the "cool kids" on the block.